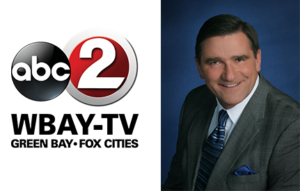 Join WBAY’s Bill Jartz on this incredible trip to Italy. You’ll savor the regional cuisine and sample local wines. 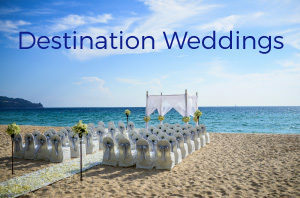 You’ll visit historic sites from the Roman Empire and see architectural treasures, splendid art, and ornate churches. 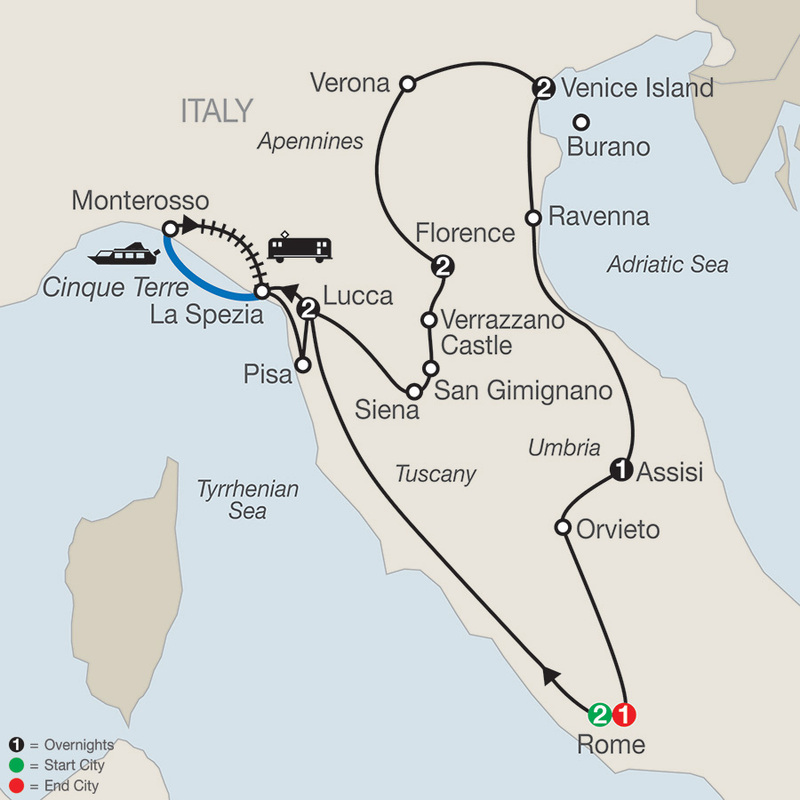 All this and more are offered on this amazing Italy tour—with overnights in Rome, Lucca, Florence, Venice Island, and Assisi. Food and wine connoisseurs will enjoy the visit to Verrazzano Castle. Located on a hilltop in the Chianti region, you’ll learn how the famous Chianti wine is made and have a sample! History buffs will delight in seeing some of Italy’s ancient sights, including the Colosseum, completed in the 1st century AD. Art fans will enjoy seeing Michelangelo’s famous works, including the Sistine Chapel’s ceiling paintings in Rome and his celebrated David in Florence. If you’re interested in magnificent churches, you’ll enjoy St. Peter’s Basilica in Rome as well as St. Francis’ Basilica in Assisi, where St. Francis is buried. Enjoy a special excursion to Cinque Terre, five small medieval villages on the Italian Riviera – a UNESCO World Heritage Site. These are just a few of the many highlights on this remarkable tour to Italy’s treasures. Welcome to Rome! Tonight, meet your Tour Director and traveling companions, then leave the hotel for a special welcome dinner at one of Rome’s lively restaurants. 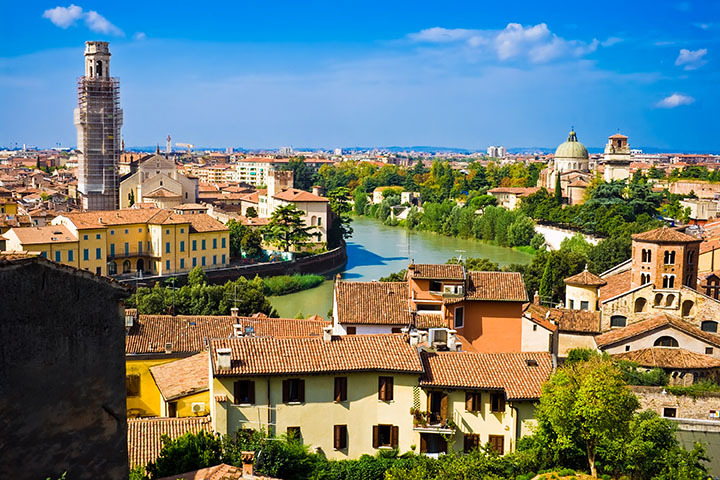 Head north and arrive in medieval Lucca, completely surrounded by the original medieval wall, and enjoy a walk through the quaint medieval town center. An optional dinner at a local agriturismo farm is available. Drive to La Spezia on the Mediterranean Coast and enjoy your excursion to CINQUE TERRE, a UNESCO World Heritage Site, including a BOAT RIDE (departures April 2 to October 22, weather permitting) with a Local Guide. The name dates back to the 15th century and is derived from five little medieval villages standing on stony spurs along five miles of the rocky coastline: Riomaggiore, Manarola, Corniglia, Vernazza, and Monterosso. Then, a TRAIN RIDE returns you to La Spezia. 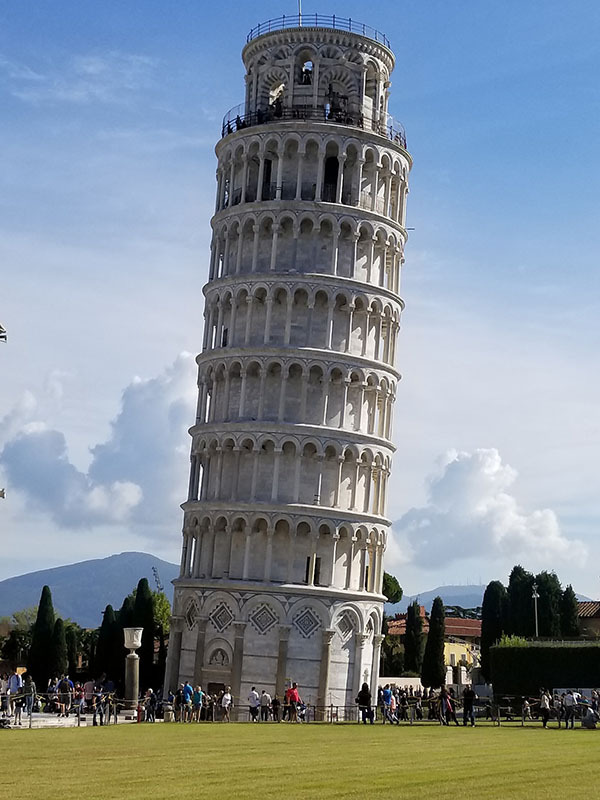 Stop in Pisa and take the traditional picture pushing back the amazing Leaning Tower, 180 feet high and no less than 12 feet out of the perpendicular, before returning to Lucca. A scenic day in Tuscany. This morning, visit Siena and walk through ancient narrow lanes to beautiful PIAZZA DEL CAMPO, theater of the biannual Palio, Siena’s spectacular medieval-style horse race. Continue to hilltop San Gimignano, the most picturesque of Italy’s perfectly preserved medieval towns. 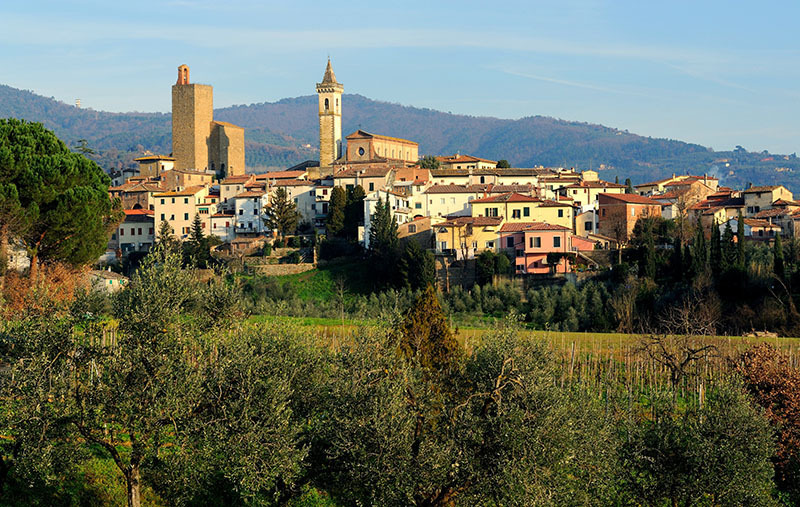 In the afternoon, drive along the Chianti Road leading north to Florence. Next is the highlight of the day: stop at splendid VERRAZZANO CASTLE to hear about the fine art of blending four types of grapes to obtain the famous Chianti. Enjoy a WINE TASTING and an early dinner with local specialties. During your walking tour with a Local Guide, visit the ACADEMY OF FINE ARTS to see Michelangelo’s celebrated David. Admire the magnificent marble cathedral, Giotto’s Bell Tower, the Baptistry’s heavy bronze “Gate of Paradise,” and sculpture-studded SIGNORIA SQUARE. Time to explore this fascinating city so beautifully filmed in movies like Room with a View and Tea with Mussolini, and to browse through the shops. Leather goods and gold jewelry sold by the ounce are attractive buys. 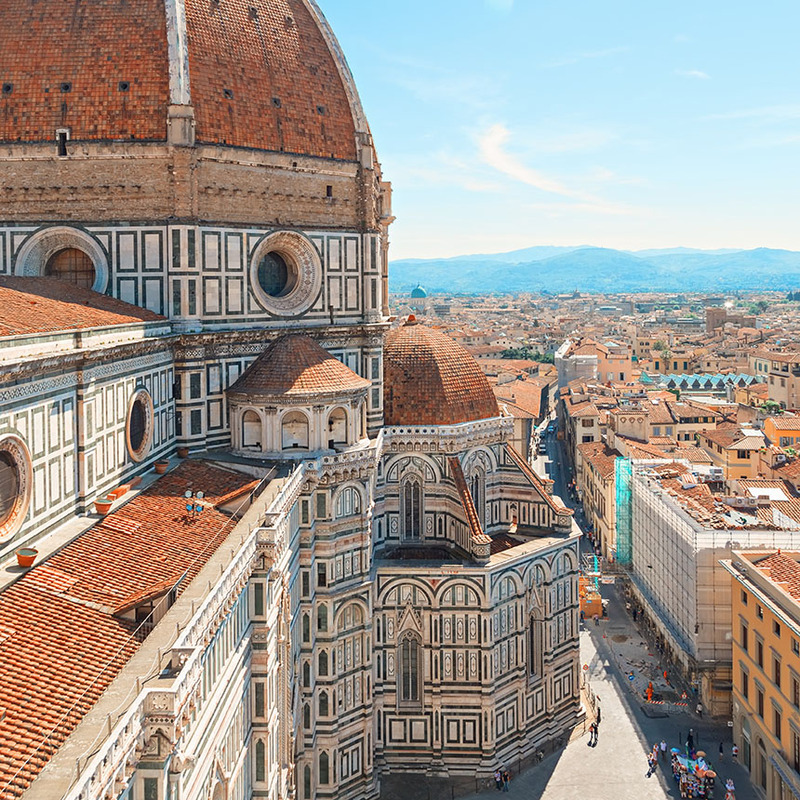 To make the most of your stay, join our optional excursions to the magnificent Uffizi Gallery and a dinner outing to try out the culinary delights of a fine Tuscan restaurant. Stop in Verona, setting of Shakespeare’s Romeo and Juliet. Take pictures of Juliet’s balcony and rub the shining breast on her statue for good luck. 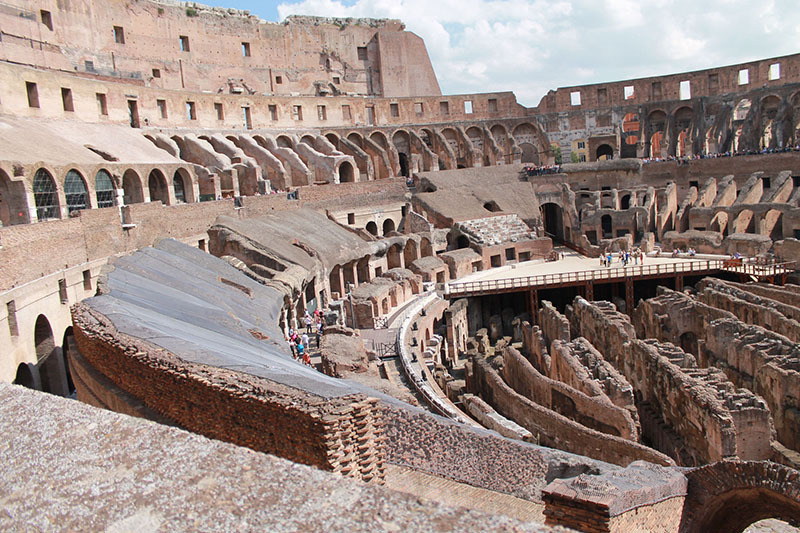 Next, admire the Arena, an incredibly well-preserved pink marble Roman amphitheater. Built in the 1st century AD, it was the place where gladiators once fought. Today, it is the magical venue for world-famous opera performances. Arrive in Venice, a powerful magnet for romantics and art lovers from around the globe. Enter in style by PRIVATE BOAT. Tonight is your chance to join an optional gondola ride and to sample the city’s fine restaurants. Enjoy morning sightseeing with your Local Guide. 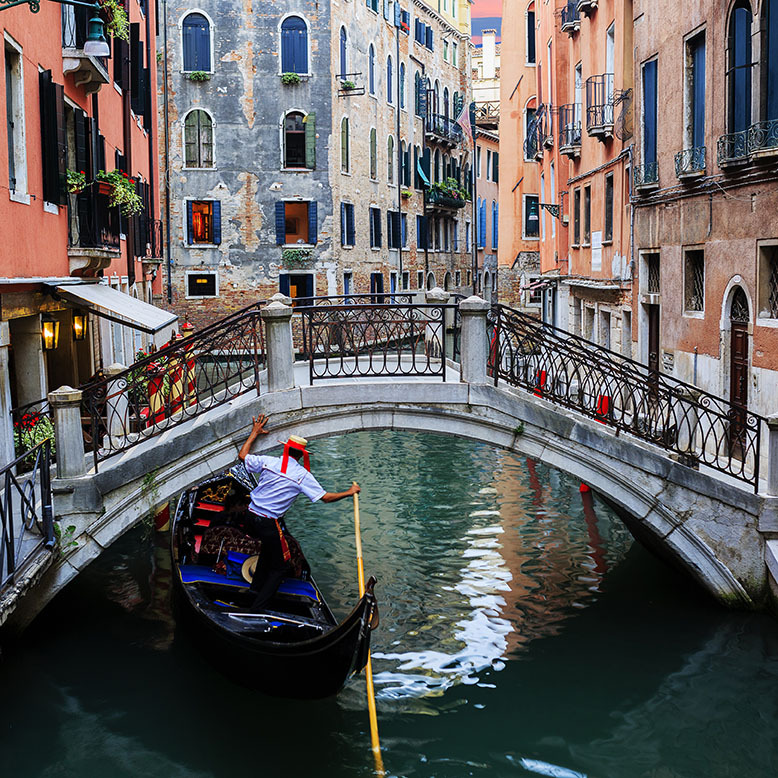 Visit ST. MARK’S SQUARE and the byzantine BASILICA, lavish DOGES’ PALACE and the world-famous BRIDGE OF SIGHS. Also watch a skilled GLASSBLOWER fashion delicate objects in an age-old traditional manner. An optional boat ride is available to the picturesque island of Burano. 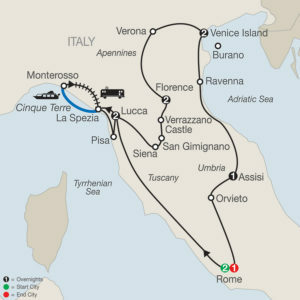 Follow the Adriatic coastline to Ravenna. Here, see the famous mosaics in the 6th-century BASILICA of ST. APOLLINARIS IN CLASSE. Next is peaceful Assisi. During your walking tour with a Local Guide, visit ST. CLARE’S CHURCH and ST. FRANCIS’ BASILICA, the hub of a religious order devoted to the ideals of humility, forgiveness, simplicity, and love for all God’s creatures. Hear about monastic life and admire the priceless frescoes adorning the walls of the church. Following the Tiber Valley, reach Orvieto, perched high atop a volcanic rock. Here, you have a chance to taste local pastries at renowned Caffè Montanucci, a historic pasticceria for more than 100 years. Time to browse through tempting shops in the lanes off Piazza del Duomo, and to visit the fabulous gothic cathedral with its San Brizio Chapel. In the afternoon, return to Rome. This evening, a special farewell dinner and opera entertainment awaits you at Tanagra restaurant. After breakfast this morning you will be transferred to the Rome Airport for your flight home. Upon arrival in Chicago, your motorcoach will transfer you to your original pick up location. 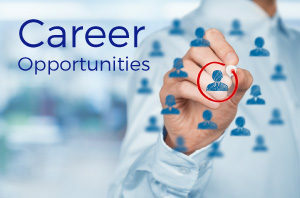 *Above base pricing is per person based on double occupancy. 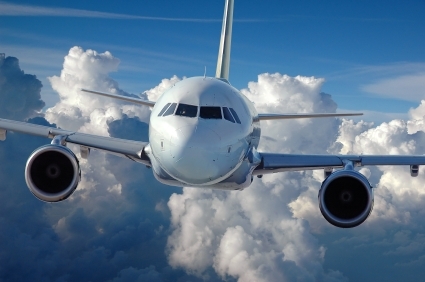 All air taxes and fees of $426.65 are included and subject to change. Raised in Clintonville, Wisconsin, Bill Jartz earned All-State recognition as a high school football player, which took him to Northwestern University on an athletic scholarship. 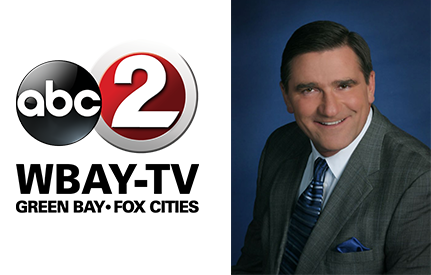 Graduating with a degree in journalism, Bill began his career as a sports anchor in Wausau, then came to WBAY in 1983. After receiving various accolades for sports broadcasting, he became a news anchor in 1998. In addition to anchoring Action 2 News weeknights at 5, 6, and 10, Bill is also the Voice of Lambeau Field at Green Bay Packers home games, joining them as public address announcer in 2005. Bill is very involved in a number of charities and has been married to his wife, Mary, since 1984.